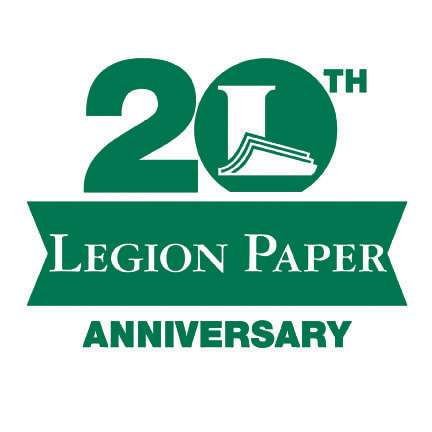 Happy 20th Anniversary to Legion! This is a big milestone for us. 20 years since we first opened our doors as an importer and distributor dedicated solely to fine art papers. These past 20 years have been marked with adventures, worldwide travels, meetings and partnerships with some of the finest and most prestigious papermakers on our planet. We've been fortunate to work with some of the most creative people of our time and participate in some truly innovative things. We want to thank all of our suppliers and all of our customers for their overwhelming support and partnership. Most importantly we send a gigantic Thank You to everyone who is part of our Legion family for all that you have done to get us to this milestone.